The group has now reached agreement for the loco to be based on the railway for at least three years. No. 56006 was previously kept at UKRL’s Leicester depot between gala visits, but can now be used on more regular work, and fills a gap in the ELR’s diesel loco collection. 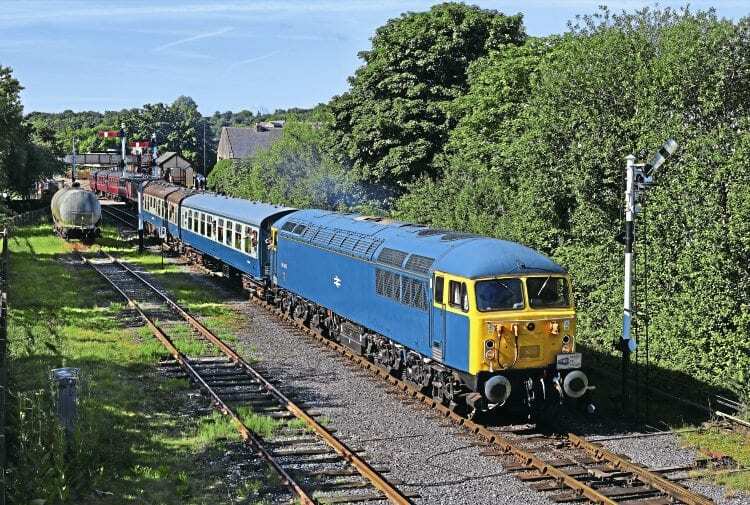 The loco is remembered from its appearance at the EWS Classic Traction event at the ELR in September 1999. Then part of the EWS Heritage Locomotive pool it was specially painted in Rail blue, as retained today. Despite this stardom it was not until November 2012 it was secured for preservation when acquired by the C56G from DB Schenker while in storage at Barrow Hill.